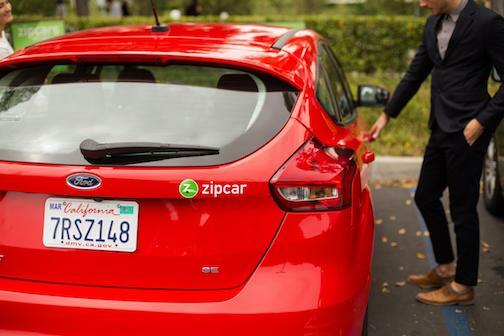 Auto-sharing company Zipcar is seeking a new creative AOR, a spokesperson confirmed this week. The Boston-based company, which was acquired by Avis Budget Group in 2013 for an estimated $500 million, has already begun the review process. The review follows two major hires for Zipcar: Sherrill Kaplan, who had been vp of digital marketing and innovation at Dunkin’ Brands, came aboard as vp of marketing and sales while Sam Adams brand and content manager Monica Ballin took up the director, brand and communications role. Beyond those changes, Zipcar’s parent company also made a recent shift atop its marketing team, with former Weight Watchers CMO Maurice Herrera coming on as svp, head of marketing for the Americas after only four months at SodaStream. At this time, it is unclear which agencies have been invited to pitch. Campbell Ewald Detroit won the last publicly reported creative review for the brand following the Avis acquisition in 2013, but Zipcar’s spokesperson confirmed that there is no incumbent on the account. The internal creative team handled some campaign work in recent years. The company most recently won attention in the press for pushing back against media partners on matters of transparency and pricing, dropping its agency and adopting a programmatic approach to all digital buying. The spokesperson confirmed that Zipcar “leverages other agency partners for media and PR” and will not review those portions of its business, but did not name the shops in question. The representative also declined to clarify whether a third-party consultancy will oversee the creative review. The size of the account is unclear. Kantar Media only has Zipcar spending around $2.5 million on paid media last year, but that was before the aforementioned changes. The brand’s most recent campaign, “Thank You for Being a Zipster,” came nine months ago.